Can Nintendo turn it around? Nintendo has just released its financial results for the last quarter, and it's a bit of a mixed bag. We'll kick off with the bad news. The Wii U isn't doing great, with just 160,000 units sold globally between the start of April and end of June, and software figures at only 1.03 million. That puts overall sales of the Wii U at 3.61 million, a fair chunk below the 5.5 million target Nintendo was aiming for by the end of April. During the same time, the Wii shifted 210,000 units, showing that people are still hung up on Nintendo's original motion controller console. Now for the better news. The 3DS is still performing like a star for Nintendo, with 1.4 million units sold in the quarter and 11.4 million games moved with it. And at the end of the day, Nintendo's financial performance was more positive than the Wii U's behaviour too. First quarter net sales were up 3.8% year-on-year and net profit at 8.6 billion yen. Are people still confused by the Wii U? 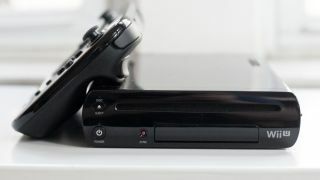 The Wii U is proving a tougher nut to crack than Nintendo probably expected, and the fact that UK retailer Asda has taken the console off its shelves won't be helping. E3 saw a strong lineup of Wii U titles previewed but most won't be released until the end of 2013 or early 2014. And even though Christmas is always there, this year it promises to be dominated by the PS4 and Xbox One. Let's hope the Wii U has an ace up its sleeve.